Kourtney Kardashian shared images of her daughter's haircut on Instagram last night. 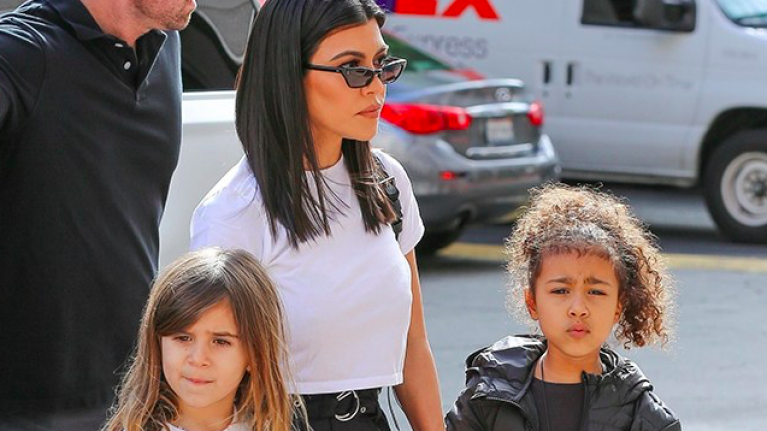 Penelope Disick is Kourtney's six-year-old daughter who she shares with Scott Disick and yesterday, the youngster got her hair cut for the first time ever, changing up her long tresses for a sharper bob. "First ever hair cut in all of her enchanting six years." And we have a feeling we know where she got the hair cut idea from, as it looks very similar to her auntie KoKo "Khloe Kardashian". Posting a snap alongside the tot, Khloe jokingly commented on how the Penelope is "obsessed" with her. "So basically, P is obsessed with me (jk) lol how FREAKING CUTE is she with her hair cut???!!!?" the 34-year-old said.